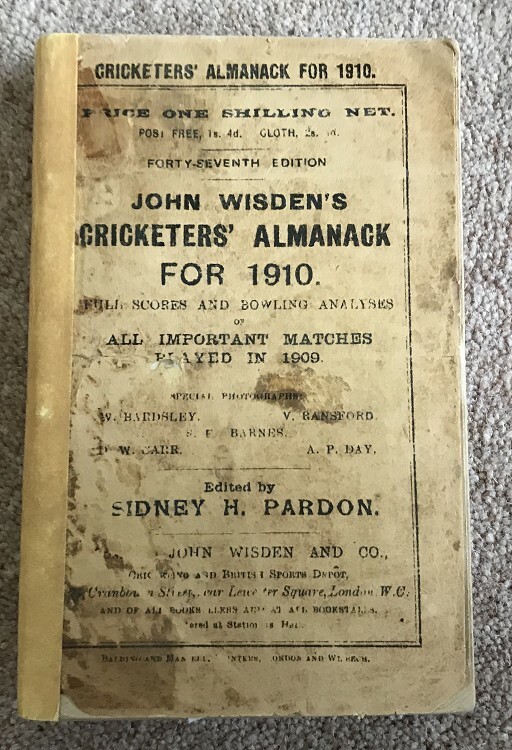 This lot is an Original 1910 Wisden Paperback with facsimile spine and rear cover and last page. This is in Good condition, the rear cover is very well made as is the spine, the front original cover has a lot of wear to it. It is tightly bound , quite a bit of thumbing so has been well loved but excellent photoplate. Postage: £4.90 Frist classl Delivery & Jiffy Bag to UK else £10ish.